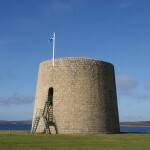 Martello Towers began to appear along England’s coastline around 1805 as a defence against invasion from the sea, particularly by Napoleon. 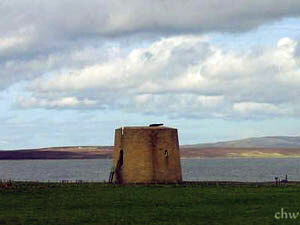 Hackness Battery and Martello Tower were built in 1813–14, at the height of the Napoleonic Wars. 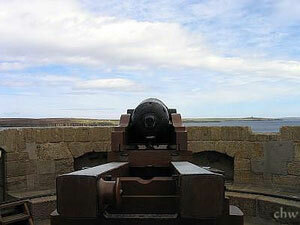 They were built to protect British convoys and were adapted during later conflicts. 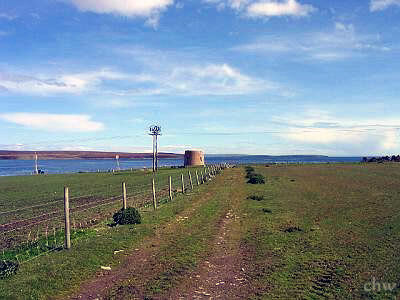 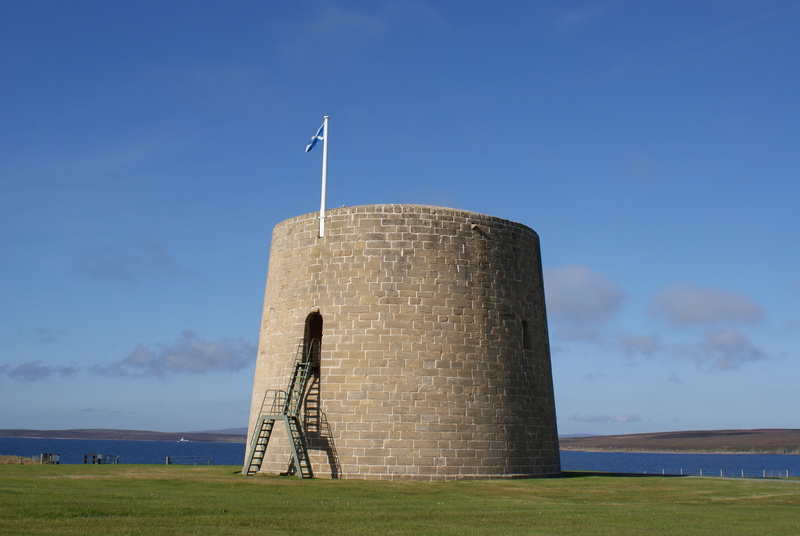 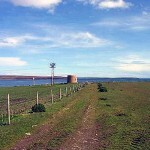 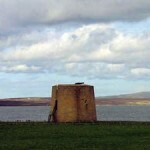 The Martello Tower – one of the only three surviving in Scotland – allows views towards Scapa Flow, a naval anchorage during both world wars. 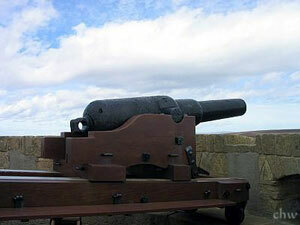 Access information: When visiting please make your way to the Battery first. 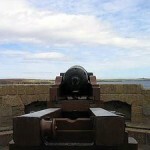 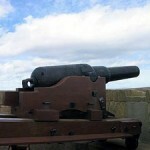 Parking is adjacent to the Battery.